Many of you will be aware that over the past months the Environmental Services team have been working towards bringing in an enforcement team to deal with environmental issues, including dog fouling and littering. This is to inform you that we have carried out a successful tender and awarded a contract to a specialised company “District Enforcement”. District will be operational on the streets of Pembrokeshire as from the 10th September, 2018. The Environmental Services team have been working through the mobilisation plan with the company and you will probably have seen the recent press release. The contract will deal initially with littering, dog fouling and other anti-social behaviour. From listening to yourselves and residents we know how important it is for our local area to be clean, free from litter and dog fouling and a pleasant environment in which to live. 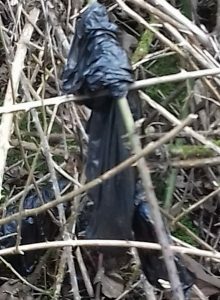 Despite all Pembrokeshire County Council’s efforts to keep the area clean and litter-free some individuals continue to drop litter, fail to clean up after their dog or carry out other anti-social behaviour. witnessed littering by the officers will be issued with a £150 fixed penalty notice, which will be discounted to £75 if paid within 10 days. We are asking for your support to make improvements to the local environment by bringing our enforcement approach to the attention of your constituents. This entry was posted in Community news on September 9, 2018 by admin.